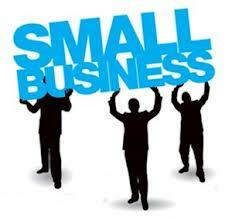 Small & Medium Enterprises (SMEs) are, to put it mildly, the heart and soul of the European economic environment. SMEs commonly criticise EU policy regarding transparency of aid available and the amount of bureaucratic red tape which exists. While the 2014 changes regarding policies affecting SMEs are predicted to ease the process in the long-term, the initial impact of the policy switch is likely to yield a great deal of confusion, as different elements previously under the same umbrella of the Competitiveness and Innovation Framework Programme (CIP) will now be split between different policies, mainly the Programme for Competitiveness and Small and Medium Enterprises (COSME) as well as Horizon 2020 (H2020 ). CIP was the most relevant policy for SMEs from 2007-2013, with a budget of 3.621 billion Euros. CIP was centred on innovation, access to finance and other forms of business support. Within the umbrella of CIP there were 3 separate programme areas – Entrepreneurship and Innovation Programme (EIP), ICT Policy Support Programme (ICT-PSP), and Intelligent Energy Europe Programme (IEE). Yet with the coming of the new year, it is time for a change and it is vital for SMEs to be aware of the changes in policy. The new policy area of Horizon 2020 has three priorities; Industrial Leadership, Societal Challenges, and Excellent Science. With this set of objectives, all research or innovation related aspects of CIP will be transferred to Horizon 2020. Practically all facets of ICT-PSP and IEE will be transferred to the priority section of Societal Challenges, with the exception of support for particular ‘clusters’ programming. The exception of clusters in this transfer will be a tad murky for SMEs as they attempt to figure out if projects impacting them are in this category. 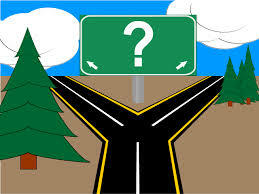 However, the future of what lies within the EIP section of the CIP is much more complicated. Essentially, the aspects related to innovation will fall under the H2020 priority for industrial leadership, while the aspects considered to relate to competitiveness will be transferred to COSME in 2014. Set for implementation from 2014 to 2020, COSME with an estimated budget of 2.443 billion will strive to maintain a business friendly environment for European SMEs. While both CIP and COSME used the EC Recommendation 2003/61/EC of May 2003 to define micro enterprises and SMEs, COSME will strive to improve upon CIP and increase the number of specifically targeted groups to provide better aid Europe’s SME environment. Though here it must be noted that third country entities may potentially be eligible if both fund distribution is considered indispensable and the entity is a non-profit. In order to achieve its goals, COSME has four main objectives with nine subset actions. Since the budget of COSME was primarily based upon the allocations made for the EIP section of CIP, which was 2.166 billion, EIP is the principle point of comparison for the differences which will be seen for SME which must now deal with COSME. The strong underlying themes of access to finance and entrepreneurship present in the CIP are still present in COSME, though with particular attention to tourism as well as access to markets. With the concentration of focus for 2014-2020, the responsibility for the implementation of these objectives has moved primarily to DG ENTR with the participation of the European Investment Bank Group. This will hopefully serve to simplify the process and cut down much of the confusion currently present. Previously, SME projects under CIP fell under the responsibility of three different DGs, so the hope is that now the processes will be more streamlined with one main DG with the responsibility. However, within COSME there is an allowance for the processes of implementation to be managed by executive agencies. As of yet there have been no particular plans to use such as executive agency but many have expressed fears about this. To those fearing the use of an executive agency, I would like to point out that a successful example of the use of executive agencies in the implementation of EU processes is the EACI. Like the CIP before it, COSME will be evaluated every year by the EC. One of the major points strived after in the development of COSME doctrine is the thorough development of indicators and evaluative forms in order to ensure that the European Union, through COSME, makes further strides in improving conditions for SMEs in Europe. Personally, this is the aspect of the doctrine that I find most promising. As a realist, the statement of plans and allotted budget is only as effective at achieving one’s goals as the evaluative structures along the way which are vital in making adjustments to ensure that the European citizens receive the most amount of benefit possible from this policy. Previously, I have been critical of the lack of sufficient measurement criteria for evaluating the long-term success of CIP in addressing the actual concerns of SMEs. Though I have hesitations about the clarity for those entities seeking assistance, particularly concerning the division between Horizon 2020 and COSME, I must say that the stress which has been placed upon the creation of long-term indicators for development and success is encouraging. In all policy areas, the initial policy often serves as a testing basin for policies yet to come, and often it is not until a policy has been fully in place that the gaps are realized. There has been much criticism of CIP, mainly based upon a lack of clear concentration or guidance, yet we must all admit – as the new year sees the commencement of COSME – that CIP was a clear step in improving the EU’s ability to address the concerns of SMEs, as well as being instrumental in deepening the EU’s involvement in the European marketplace. Ever with a critical eye – I look forward to seeing the evolution of positive changes regarding European policy for SMEs. Why do SMEs Hesitate to Step on the Cloud? Dette er en meget god opdeling. Tak for at hjælpe mig til at forstå dette komplicerede emne.